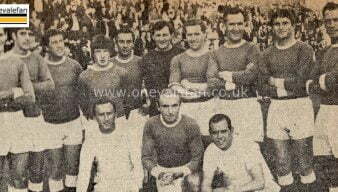 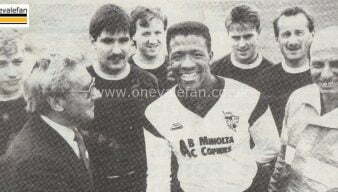 This photo shows the all-star International XI team for the joint testimonial of Vale players Terry Miles and Harry Poole. 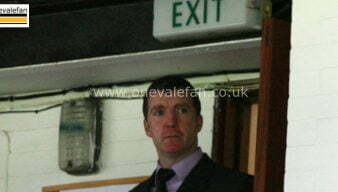 This photo shows Jim Gannon next to an exit sign at the end of the game against Accrington. 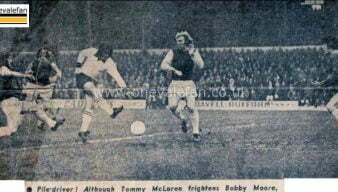 This photo shows Vale cult hero Tommy McLaren taking on England legend Bobby Moore in 1974. 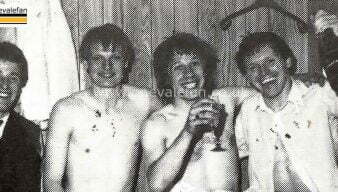 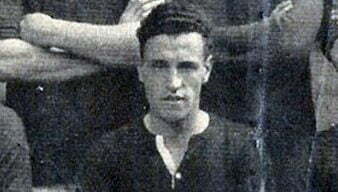 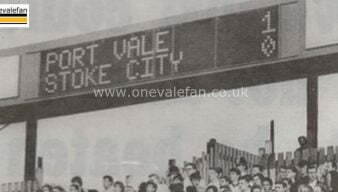 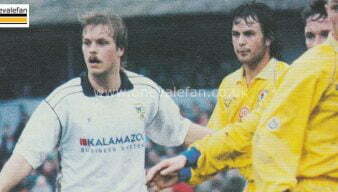 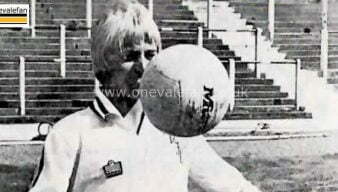 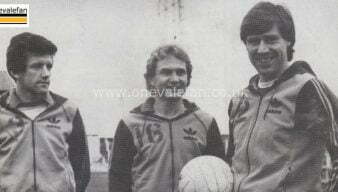 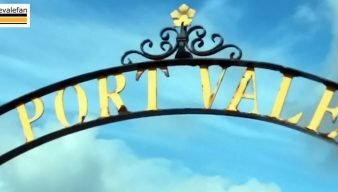 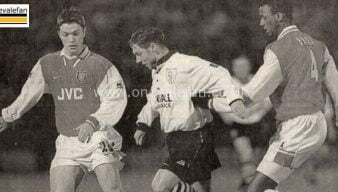 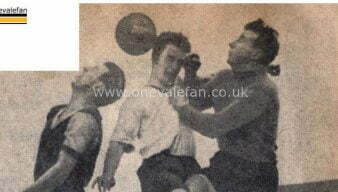 This photo shows Robin van der Laan in the very early stages of his Port Vale career. 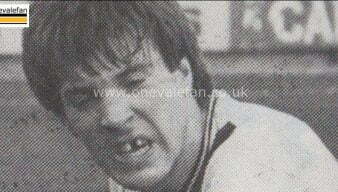 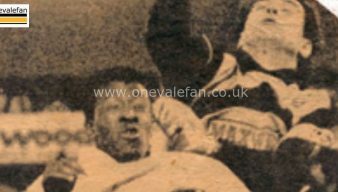 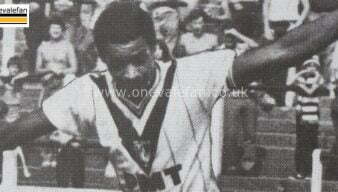 This photo shows cult striker Bob Newton showing his displeasure at a missed opportunity in the 1982-83 season. 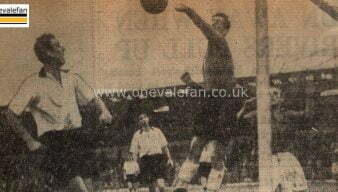 This photo shows goalkeeper Ray King saving a West Ham attack in the 1956-57 season.